The word ‘Foundation’ brings to mind thoughts of strength and solidity. Your home’s Foundation provides the structural integrity that underlies everything that supports all that you hold dear, providing a safe place for you and your family in which to live. 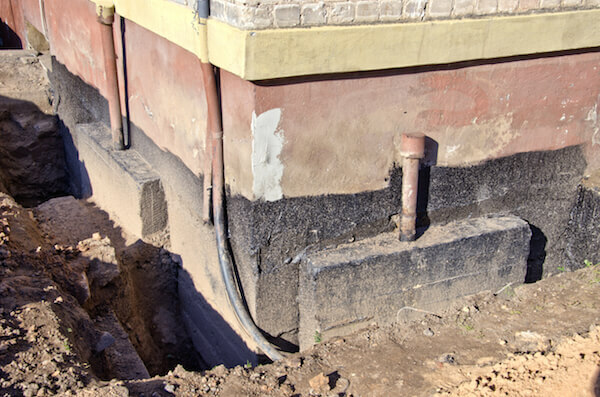 Basements are an integral, visible extension of the foundation, and are often the first place where indications of foundation issues appear. Over time, buildings settle due to the weight of the structure, and cracks or other issues can occur. Older foundations may be saturated, and require a means of dealing with water that is now causing a wet basement, which in turn can lead to mould and mildew accumulation. Windows or doors can leak. Problems such as unwanted pests and moisture can affect your health and, therefore, your quality of living. We understand how important it is to you that your home is safe and sound, and we value the relationship that we build with each client. We provide only the best workmanship and choice of materials, and work to the highest standard, keeping you informed as work progresses. If necessary, a well-executed temporary repair can buy you time while budgeting and planning a strategy for a more permanent solution. Not acting until a permanent solution can be afforded or fit in usually leads to more severe damage, greater potential for health issues to develop and a higher cost to fix. If you have any questions or concerns about the integrity or safety of your home’s foundation or basement, call RENCO today. We will provide a free, no obligation initial on-site assessment of potential damage or hazards, and can begin immediately to partner with you to ensure the safety of your home. All RENCO Foundation and Basement repairs are carried out following the RENCO process and backed by the RENCO Home Improvements Guarantee. Contact RENCO today to arrange a no-obligation assessment! Call (613) 859-2228, send Terry an email, or click here to use our online contact form. We will respond within 24 hours.